MeasureProductivity is a product designed by AKS-Labs. 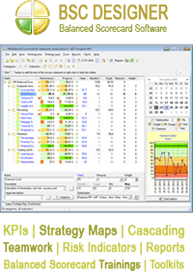 In this section you will find more information about MeasureProductivity and related solutions. The MeasureProductivity software helps to measure, control and improve time that you spend on different computer jobs. Here are some problems that you might solve with this software. What time have you invested in the project? It is usually very hard to answer this question, as you cannot spend all of your time on the one project. You could check your RSS or check your mail, do some research not related to the project. What if you’d have an opportunity to filter all your jobs by keywords and find out what time you have spend to the project. With MeasureProductivity you can do this. What job is your «time-eater»? You do always hundred jobs and computer-related tasks, all of these tasks are small, but why and where do you spend all these hours? Sometime it is hard to find the task where you waste your time. With MeasureProductivity you can do this. Bill your employer accordingly! Imagine having strict calculation of what you have done, what application have you used, what sites have you visited to do the job and finally what time have you spent on all these tasks. Having this information you can bill your employer and prove your words if necessary with reports and automatically generated time sheets. MeasureProductivity can help you with this.